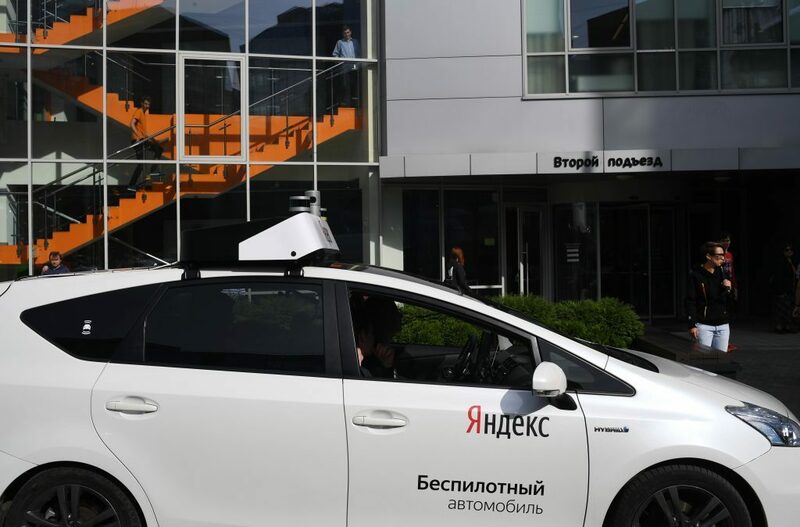 Last February, a prototype of a pilotless car which is now being developed by Yandex Taxi, made its first drive around one of Moscow districts. Anton Slesarev, unmanned Yandex Taxi developer, explained at Skolkovo Robotics Forum how well and how fast a driverless taxi can drive. Currently, Yandex Taxi operates in 298 locations all around Russia employing 400,000 drivers. Now, a UGV prototype can move at about 40 kilometers per hour which, in the experts’ opinion, is a surprisingly good result. However, Slesarev has not disclosed the mileage the pilotless car prototype has covered. How does it function? A vehicle moves from point A to point B along a preset route. Cameras, radars, a lidar, GPS/GLONASS devices and other sensors are installed at a UGV to collect all sorts of data and draw a virtual map of the road it is to follow. The data is collected all day around in order to get knowledge of the varying lighting of the sites. The map thus composed has much more details than the current Yandex Maps. All of the said devices produce thousands of images all around a car which are then implanted in a combined 3D map. Without such a 3D map, a UGV just won’t be able to move. The equipment of an unmanned car is quite impressive. A radar uses radiowaves to identify the exact location of the car, its speed and the vehicles nearby. The cameras supply a videofeed which the program uses to establish positioning of other cars, sites and people, to visualize road parameters and distinguish roadsigns and pavement markings. A lidar is mounted on a UGV roof to rotate and scan the space around via its laser emitters for distance measurement. Beams reflection data allows producing a 3D map to get fine measurements to various objects around the car. A lidar is the most expensive (about $75K) but a key element of a pilotless vehicle. At the moment, manufacturers have started a tough competition aiming to make lidars less expensive and more reliable, including an option of making it fixed and non-rotating. The collected data is then downloaded to a cloud and then marked down by a special service, Yandex Toloka (vehicles are marked as boxes). On the basis of machine learning, the data is collected and downloaded in the machine. “If on the way of a UGV there is a hole, which was not there before, a car will stop and say, that the real world does not match the map, so manual operation should be engaged”, Anton Slesarev says. “That partially applies to road markings as well, so we will keep updating our map. But if there is a plastic bag flying in the wind, that may bring a UGV to a stall”. An unmanned Yandex Taxi is equipped with Nvidia GeForce GTX powerful graphics processor, a video camera and a lidar from Velodyne. The software which puts a pilotless taxi in motion was fully developed by Yandex. It is an identification system which can recognize objects on the road, and consists of neural networks which collect data and arrange operation of a vehicle. According to Yandex Taxi developer, in three to seven years unmanned taxies will be driving around Moscow while in ten years half of cars will be unmanned. “In the Moscow district of Khamovniki that may be observed within days”, Slesarev jokes. The first test of a Yandex UGV was arranged at some closed territory. The second test was carried out in Khamovniki, by the office of the company. That happened in February, after a heavy snow in Moscow. In the UGV, there was a pilot, but he did not intervene with the operation of the vehicle as the car coped with the test perfectly well. That day, the car drove around at 25 kilometers per hour. As Anton Slesarev notes, drivers do not adjust their behavior if there is a UGV nearby and do not demonstrate any special caution. At Skolkovo, Slesarev showed a video recording of an unmanned Yandex Taxi at times driving at 40 kilometers per hour. “There is no operational lidar in the world now which could guarantee a safe driving along regular roads at speeds above 10 kilometers per hour”. 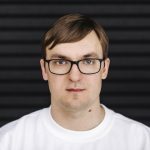 Fedor Glazyrin, system analyst at Vist Group, believes that Yandex Taxi is close in its advancements to what Tesla and Google can offer. “95% of what is employed in a UGV, is already available. Only 5% is yet unaccomplished, but those 5% are about reliability. In a good weather, on fairly clean streets, driverless cars can operate pretty well. But a car to be operational, it has to be able to drive under snow, with no road markings visible, in an environment of uncivilized other drivers, etc. Unless that is arranged, the 95% of what has been done are rather insignificant”. Yandex is not the only company is Russia involved with developing UGVs. In April, Russia’s Cognitive Technologies accomplished a test of a vehicle which ran one million kilometers. Cognitive Pilot intellectual system reached the road objects precision detection of almost 100%. Many autopilot tests were conducted outside Russia, since the Russian laws do not allow driverless vehicles to use general roads. Olga Uskova, president of Cognitive Technologies, believes the tests should be continued to ensure traffic safety. Vist Group is building a driverless truck for OCP Group to transport phosphates in Morocco. Within a month, it will start operating in a regular regime. “There are too few drives capable of operating such a truck in a hazardous environment. Besides, it is worth several million dollars”, a company representative explained the need for the truck robotization. Earlier, Vistgroup developed a UGV for КamАZ motor plant. As Invest Foresight already reported, UGVs may be rejected by the public whereas many business representatives believe the time for driverless cars has not come yet.